A beautiful collection of European manufactured folding shower seats, steam room seats and wet room seats. These luxury quality fold down seats are extremely strong, designed to be wall mounted and completely water proof and steam proof. 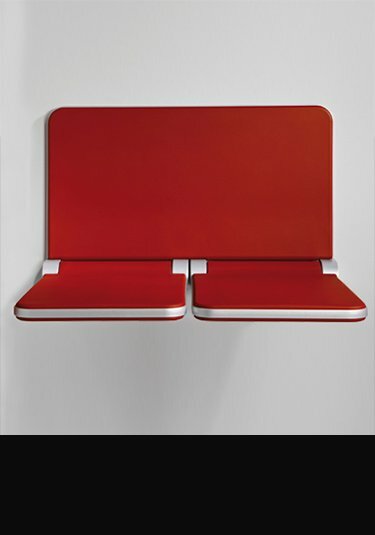 We can supply our fold away seats in white, cream, black and red as a single or double bench seat. 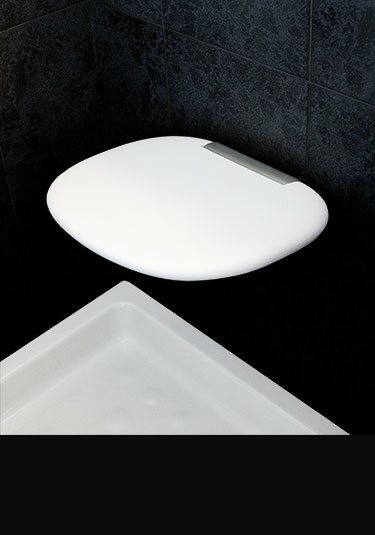 We offer our wall mounted shower seats in various sizes from small projections to large wall projections as well as matching backrests to improve the comfort experience. These high quality folding up and down seats can be supplied in a contoured rigid material as well as a soft to touch and compressible rubberized material, both being equally waterproof and steam proof and comfortable. Heavy duty folding seat ideal for steam rooms, wet rooms and showers. Luxury German quality this comfortable fold away seat is completely steam proof and waterproof. A shorter projection fold up seat that is completely waterproof and steam proof and makes an comfortable addition to steam rooms, wet rooms and showers. This fold away seat has strong wall brackets and is smooth folding. German manufactured ensuring strength and longevity. A lovely contemporary styled fold up seat which is supplied in the colour choices of cream, red, and black. This fold away seat is ideal for steam rooms, showers and wet rooms and is completely steam proof and water proof. European manufactured and styled. 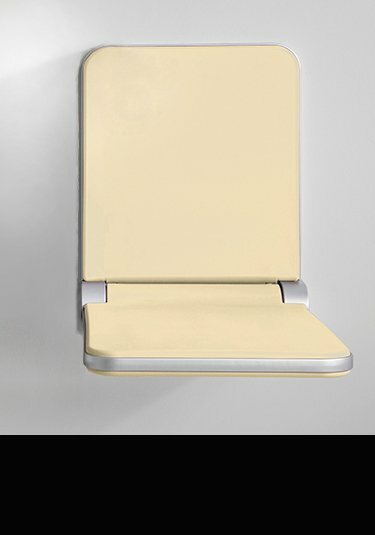 A wall mounted folding seat that is a contemporary addition to steam rooms, wet rooms and showers. Each seat is easy to fold away and is supplied in white or black finishes. Italian designed and lovely quality. A wall mounted double steam room seat with a comfortable backrest and supplied in cream, red and black. This double fold away seat is also a contemporary addition for showers and wet rooms and is completely steam and water proof. European manufactured and styled.